Restaurant serves tasty Lamb Mandy and must-try local favourites. IT is easy to fall in love with Lamb Mandy and Mandy Rice, especially if they are cooked to perfection. Having these two dishes is like savouring Briyani-like rice with grilled lamb. The rice has a rich appealing taste of herbs while the grilled lamb is tender and juicy. Those searching for a unique culinary experience, where you can enjoy both traditional Malay food and Arab cuisine, look no further than Restoran Puteri Penchala in Jalan Sungai Penchala. The location is not easily missed, as it is perched on slightly elevated ground, giving diners a great view. Once you step inside, the warm atmosphere makes the dining experience a comfortable one. Our main dish was the famous Mandy Rice and Lamb Mandy (top pic). There is a choice between Mandy Chicken and Lamb Mandy. Both were equally tempting. The Mandy Rice was flavourful and cooked to perfection; not too dry and oily. The extra long basmathi grain made the rice look tempting while the bright turmeric colour made it appetising. The garnishing of chopped parsley, raisins and almonds did wonders to the presentation. 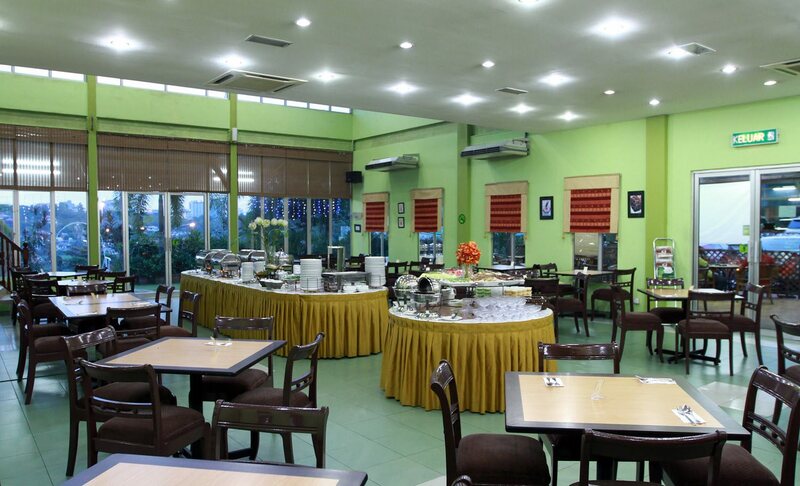 The interior of Restoran Puteri Penchala. The Lamb Mandy was superb and so succulent. The subtly slow-cooked lamb pieces, which were marinated in well-spiced gravy, gingerly fell off the bone and were extremely tasty. Since Mandy Rice uses expensive ingredients and takes a while to prepare, it is usually served on special occasions such as weddings. The side dish of Dhal Soup, the irresistible Hummus (chickpeas), Fatoush, Tabbouleh, Kabsah Chicken, Madghout Lamb, Lamb Kebab, Shish Tawouk and Shawarma were added attractions. Since it was a generous buffet spread, the bonus was on the taste more than the portion size. Somehow our appetiser, Fattoush, was a killer. This tangy mixed salad made of crispy lettuce, diced tomatoes and cucumber, crunchy fried squares of pitta bread, onion, garlic, lemon, olive oil and mint gave it that sour yet refreshing taste. Next was the skewered chicken dish Shish Tawook, a popular dish in Iraq, Syria, Lebanon and Eqypt, served with pure garlic paste, and was delicious. You could tell that the chef was generous with the spices. Another favourite was the exquisite hummus dip with the pitta bread. The thick consistency with the right drizzle of olive oil over it was just the right texture. More Malays have slowly taken to the addiction of Arab food because of the excellent taste of hummus and Mandy Rice. The most exquisite dessert was the baklava, a sweet pastry with chopped nuts, sweet syrup and honey dressing. Habsah Hassan, the owner of Puteri Penchala Restaurant, showing off the two Malay dishes available at the outlet. 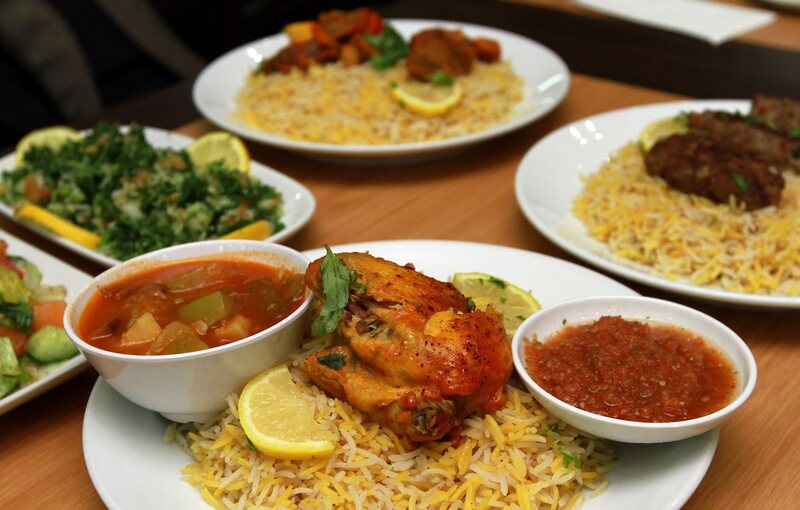 Introducing Arab food to its present line-up was indeed a good move. 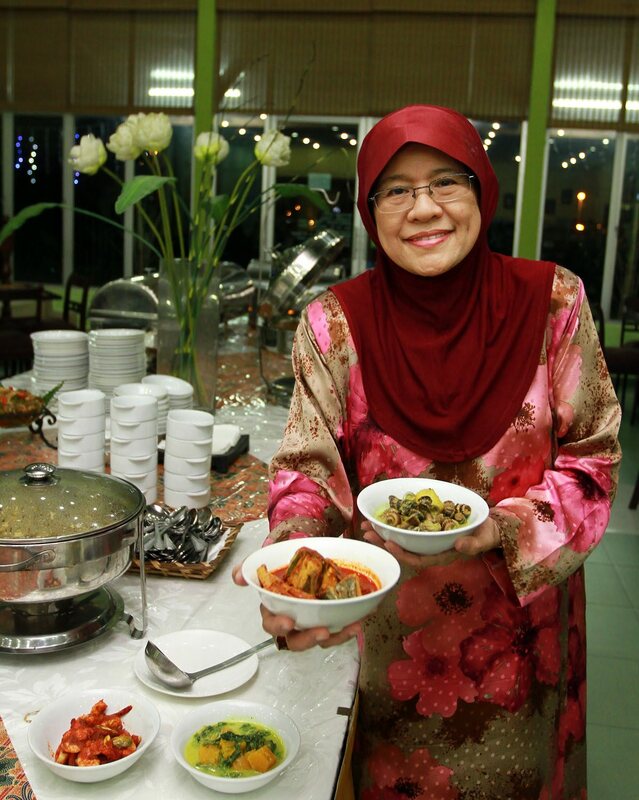 Owner, veteran lyricist/drama producer Habsah Hassan introduced it last year because she wanted to add more variety to the existing Malay dishes buffet. Two experienced Algerian chefs — Fares Boudour and Rael Ahmel Abb — were roped in to execute this. “Malaysians are getting hooked to Mandy Chicken and Mandy Rice these days. The spices used are the things that really enhanced the taste. Traditionally, Mandy Chicken is cooked in a tandoor, which is closed up without letting any of the smoke out. The smoky flavour is what gives the chicken or lamb that extra zest,” said the 27-year-old Rael, who has been cooking for nine years. As for the flavourful Mandy Rice, Rael prefers to add raisins and almonds to give the rice a distinct taste. Since Puteri Restaurant has long established its traditional Malay cuisine, these authentic dishes are still part of its Ramadan attraction. 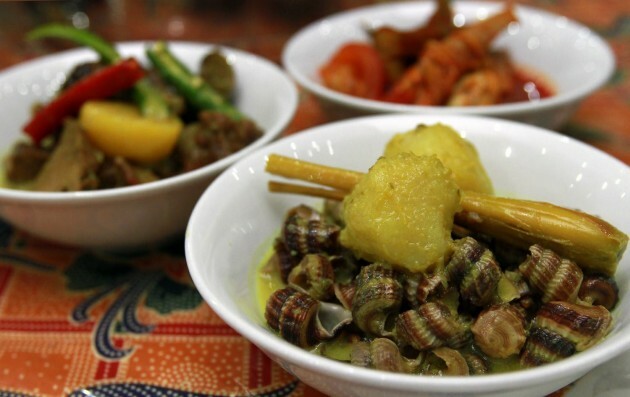 Typical Malay dishes – they appear simple but have remarkable depth of flavour. The spread includes the all-time favourites Siput Sedut Chili Api, Asam Pedas, Laksa Johor, Soto Ayam, Sayur Pucuk Ubi, Rojak Buah, Ikan Bakar, Paru Goreng Berlada while various types of kerabu are available on the buffet line. The Murtabak Singapura, a speciality available only during Ramadan, should not be missed. The masala used for the murtabak chicken tastes slightly different than themurtabak that you often get. It is well spiced and flavourful. Though the food appears simple, the flavours of these dishes have remarkable depth. With a well-deserved reputation for many years, Puteri already has loyal patrons. We also had a free flow of bandung cincau, sirap selasih, cendol and air batu campur. Mouth-watering desserts were the different types of Malay kuih includingkaswi, koci, kuih lapis and curry puff, caramel pudding, jelly, sago gula melaka andpengat durian. All in, there was too much delicious food on the platter than we could manage. So, if you are game for another culinary adventure, you can call for reservation. The buffet is priced at RM68 nett (Adults) and RM30 nett (Children aged six to 11 years).